Argentina have made sweeping changes in the forward pack and handed scrum-half Tomas Cubelli a recall for Saturdays Test against Ireland in Dublin. Cubelli, who replaced Gonzalo Bertranou, last started for the Pumas against New Zealand in September in the Rugby Championship, where Argentina posted their best performance this year. But the Pumas blew a chance to finish the annual southern hemisphere championship with an even better record after a disastrous second half in their final match against Australia in Salta. Ahead 31-7 at halftime, the Pumas lost 45-34 after the second biggest collapse in the international rugby history. 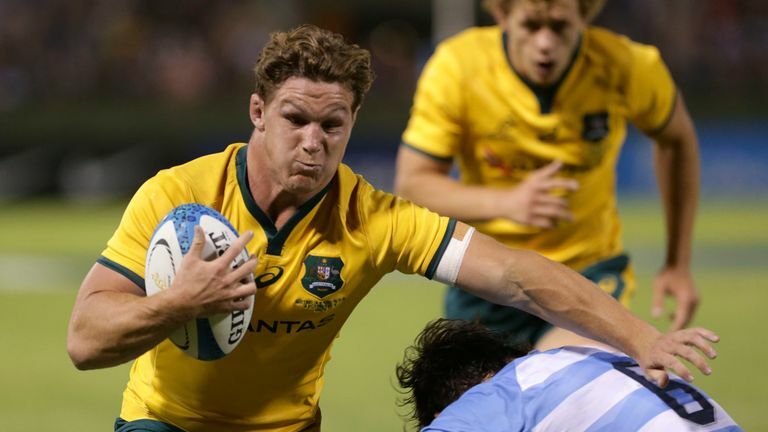 Australia looked well beaten at half-time in Salta but staged a remarkable comeback against Los Pumas. In response to that meltdown, coach Mario Ledesma changed the captaincy for Argentina's November internationals in Europe, handing the armband to flanker Pablo Matera. He also revamped his scrum for Saturday's Test in Dublin, the first of four games on their European tour. Santiago Garcia Botta and Santiago Medrano came in at prop, and Matias Alemanno starts at lock forward in place of Guido Petti, who moved to flanker in place of Marcos Kremer. Batista Delguy replaced Matias Moroni at centre. Argentina beat Ireland 43-20 in the 2015 World Cup quarter-finals but the Irish are now ranked second in the world, seven places ahead of the Pumas. After facing Ireland, the Pumas take on France in Lille, Scotland at Murrayfield and the Barbarians at Twickenham. Argentina: 15 Emiliano Boffelli, 14 Bautista Delguy, 13 Matias Orlando, 12 Jeronimo de la Fuente, 12 Ramiro Moyano, 10 Nicolas Sanchez, 9 Tomas Cubelli, 1 Santiago Garcia Botta, 2 Agustin Creevy, 3 Santiago Medrano, 4 Matias Alemanno, 5 Tomas Lavanini,5 Tomas Lavanini, 6 Pablo Matera (c), 7 Guido Petti, 8 Javier Ortega Desio. Replacements: 16 Julian Montoya, 17 Juan Pablo Zeiss, 18 Lucio Sordoni, 19 Rodrigo Bruni, 20 Tomas Lezana, 21 Gonzalo Bertranou, 22 Joaquin Diaz Bonilla, 23 Matias Moroni.